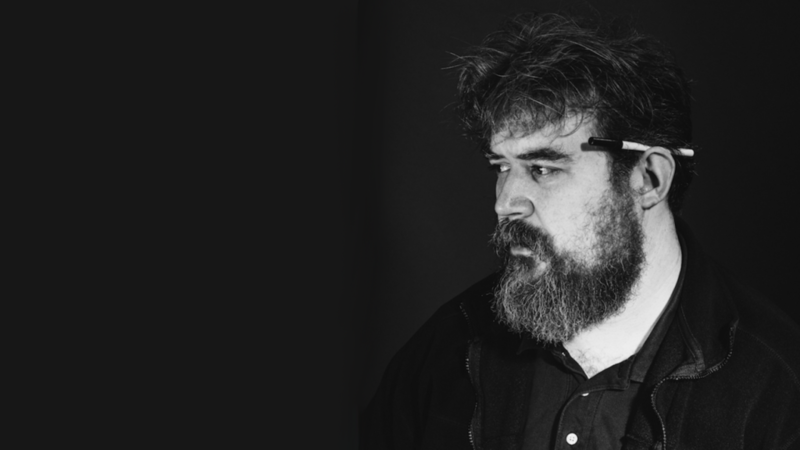 Daniel Knox, who started writing songs in dark lobbies of Chicago hotels, plays in Hungary for the first time on 6 February. He presents his new album, Chasescene in A38 Ship’s Exhibition Space – Knox, who also has a past of working on theatre and cinema projects, gave us a deeper look and understanding in how his new album came together, and how he reflects on the world through his art. You are often familiarizedwith Randy Newman, Tom Waits and Harry Nilsson. Are you happy about any of these comparisons? I don’t mind but I don’t welcome comparisons either. I think most people, reviewers and otherwise tend to mean well by comparing to other artists but it can be a little reductive. I definitely think if you like those artists there’s a chance you’ll like my songs too, but I wouldn’t presume to put my songs at the table with theirs nor is it any aim for me to have them sit there. Funny enough Randy Newman was someone whose music I came to know only after someone had compared me to him though. Another one is John Grant who I think people tend to compare me to on account of him being a weirdo with a beard. Tell us about your new album, Chasescene! What did the writing and recording process look like? I started writing Chasescene around the time of my first record. It was always conceived as a trilogy with Disaster, Evryman For Himself, and Chasescene. But I liked some of the songs for it so much that the ones I had at the time weren’t enough. So I kept working on it and throwing stuff away then starting over. Only two of the songs from back then remain on the record now. It probably looked like a completely different finished album about six times over. I recorded it at Electrical Audio in Chicago with Greg Norman who co-produced along with Joshua Fitzgerald Klocek who also plays guitar with me. The sessions were sporadic and I scheduled them whenever time or money would allow. Some of them even began during the sessions for my self-titled LP but not much too much ended up on the record. Most of the sessions were tracked live with my band and then strings and horns overdubbed later. I wrote the arrangements myself and they were orchestrated and made playable by Jim Cooper. One of my favorite days of recording was with Justin Dennis of Kinora who did additional mixing and recording for Chasescene. He recorded the horns for The Poisoner on the stage of a famous movie theatre in Chicago. You did two featurings on the album with Jarvis Cocker and Nina Nastasia. Tell us more about your work together! I met Jarvis when we were both in a show called Twisted Christmas at the Barbican in London. We hit it off and he asked me to sing backing vocals on his album Further Complications (which he also recorded at Electrical Audio in Chicago). He was nice enough to come to London and record the Capitol vocals for me. Nina Nastasia is just one of the greatest songwriters and singers there ever was. I admire her more than I can put into words. I just asked her to sing The Poisoner for me and to my surprise and excitement she said yes. Her album Run To Ruin was a huge inspiration to me when I began my first album Disaster. Having two of my favorite artists sing a song on each side of my record is like getting everything I want and more. The most satisfying part of it though is what they brought to the songs that I couldn’t have. They took them somewhere new and brought them back forever changed. Chasescene is about observing different characters in a distance without judgement – how did this concept come about? I don’t really like to say what my records are “about”. They’re about a lot of things. I’d never tell someone their interpretation of it is wrong (unless it included something truly vile), but I’d also never tell them they’re right either. I guess I hoped people might hear it and recognize themselves in it. The good and the bad. What character are you in the everyday hub we live in? That’s a good question. If I knew the answer I’d probably stop writing and just do whatever it is that character is supposed to do. If I was forced to say, I’d say I’m an observer. I like to walk around and look at the world and once in a while I have something to say about it, and once in a while I look inward and try to say something about that too. You worked as a technician in cinema, and released a re-cut of a video you shot when you were 17. Any other works like this recently, or is it more about the music now? There was a time when all I wanted to do was make films. Now I feel like I have the perspective to understand that I maybe have one good one in me, maybe one good one and a few others along the way if time and resources permit. There is one film I’ve been working on since I was 15 but it probably won’t be completed until I’m a very old man. Lots of theatre and motion picture soundtracks are among your works. How it is different for you to write for others and to write your own songs? Writing music for films is similar to acting in films in a way. You’re authoring something that makes a creative contribution to the story but it has to be in service to someone else’s idea. I enjoy that process even when it means throwing away something I loved that didn’t work. I think working in service to someone else’s idea is a great way to learn how to work with others on serving your own ideas. Writing songs is like being your own boss. You have to be a good boss but you have to get the work done. You have to be a good employee but you can’t let the boss push you around. I feel like most of my songs are íwritten away from the piano though. I go on long walks and just get a little piece of something and then race back to the piano to pull not he thread and see where it goes. Sometimes it goes nowhere and you just have to turn back and start over but the freedom to do that can be a limitation in it’s own right. If I had my way I’d just be writing songs in a dark room somewhere and sliding them under the door when I’m done.